The Pressure Is On - How Can You Address A Complex Sales Process. You have a product or service which does a fantastic job, creates a lot of value but when you pick up the phone to introduce yourself and your company, nobody seems to understand what you do or why you are calling. This seems to be the same experience whether you are a technology company, manufacturing or similar industries that frequently face a long and complex sales cycle. Generating leads both high in quantity and quality is a mountain we all set out to climb. A successful Business-to-Business (B2B) lead generation engine is what keeps a business alive. But it can be difficult to know how to balance your online marketing efforts (inbound marketing) to attract leads and to develop a buyer-centric sales strategy to convert those leads. Closing more sales deals was the highest priority according to research from the HubSpot's 2016 State of Inbound report. So Why Is It So Hard To Generate Leads? Typically the company website is the first touch point with potential leads, and often this channel is supported in parallel by the sales team, eager to get on with selling - trying to generate and develop their own leads pipeline. But this "all hands to the pump" mentality can result in missed market opportunities and sub-optimal sales levels. Often as businesses we become frustrated that we are wasting time and money on marketing that does not appear to drive revenue or concerned that we are missing out on prospects or worried that the sales team is not getting the most out of the leads that you do generate. These are typical concerns for those businesses employing outbound selling methods. Inconsistent results - especially if you over rely on cold calling for new business development. Not remaining top of mind with your prospects or existing customers - because you do less educating and only make contact when you are selling. 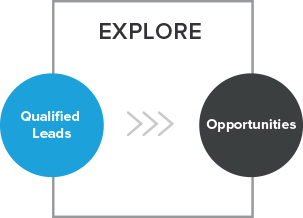 Not knowing how to connect with leads who aren’t ready to buy yet - and a lack of knowledge on how to turn this into an opportunity to advise rather than a "dead-end". Knowing how to nurture leads that are just starting their buying process - resisting the desire to go for the sale as soon as they do something remotely interesting. Changing "all about me" To A Buyer-Centric Mindset. Become a trusted "expert" by sharing insights and offering advice. Inbound Sales A More Humanistic Approach? The first and most important step for developing an inbound sales perspective is to define the buyer's journey to be able to develop a "buyer-centric" sales process that places the buyer's needs first and foremost. The journey is typically divided up into stages that recognise a buyer moving from just finding about you and their problem (Awareness), considering your solution to their problem (Consideration) and then buying from you (Decision). As the buyer passes through each stage there would be a different need for education and approach. The image below is from HubSpot and their visualisation of the journey. Buyer Stage – at what stage is your lead at Awareness, Consideration or Decision? What information needs do they have and how are they researching the subject? For this type of buyer persona, do they have a preferred way to digest the content or interact with you? According to Forrester, "We have to start thinking of customers in very specific terms. Company size is no longer a sufficiently informative lead attribute". 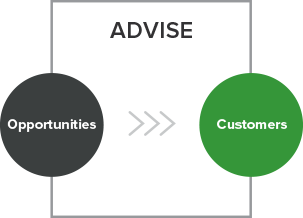 The key is understanding our customers business issues, interests, needs and pain points. 74% of business buyers told Forrester they conduct more than half of their research online before making an offline purchase. 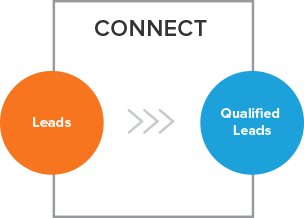 The HubSpot Inbound Sales Methodology In 4x Different Stages. Most buyers are already in the Awareness stage of their buying journey - before they engage with salespeople, having already done their own research. As a salesperson focus first on those buyers that are active, who may have recently visited your website, filled out a form or opened a salesperson’s email. Talk to customers that are a good fit, ask for introductions on LinkedIn and set up Google alerts to track key events that should trigger your interest i.e. new recruitment, firms seeking new investments, expanding business, etc. Your sales message should be tailored to the buyer’s situation - not yours. This context could be the buyer’s industry, role, interests, common connections, etc. A well developed buyer's persona will help you understand the unique pain that they are looking to address. Each persona will have a particular way that they will want to build a relationship, digital media habits and goals. Most of these buyers are also in the “awareness” stage of their buying journey so your sales goal is to educate them on the problem or opportunity rather than selling your solution. Be ready to nurture them along the sales funnel. With so many touch points now in the sales process the sales cycle is becoming longer, so each contact with a prospect becomes even more important. Taking on an educational role will not address all the reasons for the complexity now of the sales cycle but it will help your solution stand out from the rest of the crowd. So the relationships you build through sales are what will keep your lead pipeline active. 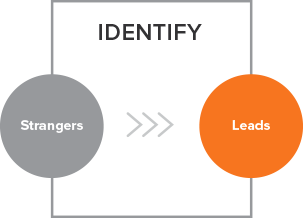 The Inbound Sales Methodology covers every step of the buyer’s journey on the road from introducing a stranger to what your company does, right through to qualifying and nurturing leads to become eventually a loyal customer. So why not take your first step on the inbound journey.